A musician, musicologist, and self-defined “poet of research,” Amelia Rosselli (1930–96) was one of the most important poets to emerge from Europe in the aftermath of World War II. Following a childhood and adolescence spent in exile from Fascist Italy between France, England, and the United States, Rosselli was driven to express the hopes and devastations of the postwar epoch through her demanding and defamiliarizing lines. Rosselli’s trilingual body of work synthesizes a hybrid literary heritage stretching from Dante and the troubadours through Ezra Pound and John Berryman, in which playful inventions across Italian, English, and French coexist with unadorned social critique. In a period dominated by the confessional mode, Rosselli aspired to compose stanzas characterized by a new objectivity and collective orientation, “where the I is the public, where the I is things, where the I is the things that happen.” Having chosen Italy as an “ideal fatherland,” Rosselli wrote searching and often discomposing verse that redefined the domain of Italian poetics and, in the process, irrevocably changed the Italian language. This collection, the first to bring together a generous selection of her poems and prose in English and in translation, is enhanced by an extensive critical introduction and notes by translator Jennifer Scappettone. 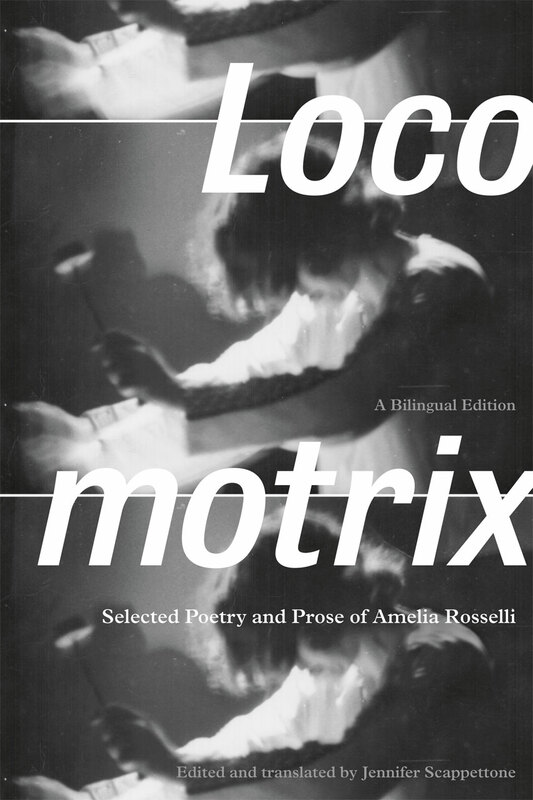 Equipping readers with the context for better apprehending Rosselli’s experimental approach to language, Locomotrix seeks to introduce English-language readers to the extraordinary career of this crucial, if still eclipsed, voice of the twentieth century.